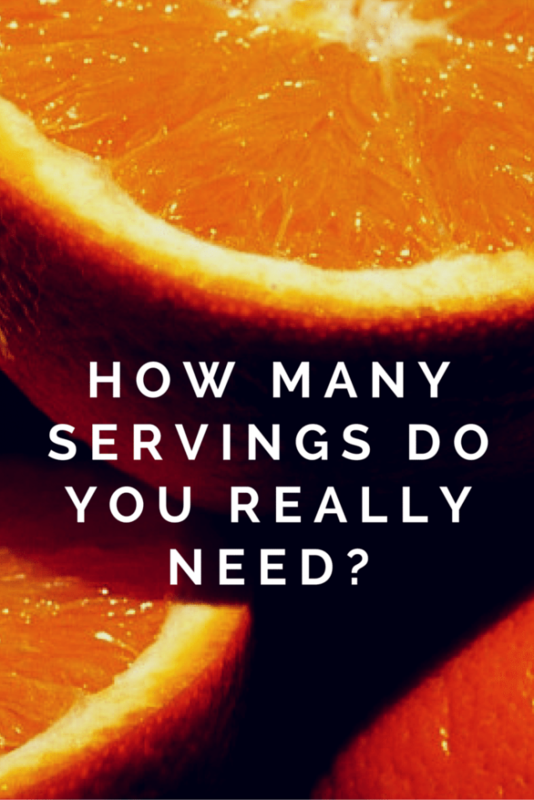 How Many Servings Do You Really Need? Eating a healthy and varied diet has never been easier than it is today. Generously stocked grocery stores, farm-to-market spots, roadside stands and your own garden are just some of the places to find a variety of the fruits and veggies to fuel your bodies with goodness. Fruits and vegetables contain vital nutrients and fiber for protection against many illnesses and disease. Eating the daily recommended amounts helps to ensure optimal health. Even as a runner, and one who is focused on health, I find the USDA’s recommendations difficult to remember. People don’t usually measure what they eat, so thinking in terms of a measured cup, is not something I remember. What I do remember is that when I make a fist, it’s about the size of a half cup. Since I’m a grazer, eating smaller portions and thinking of them in half cup terms makes it much easier for me to remember how many servings I have in any day. 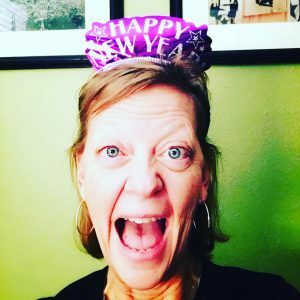 As an example, women in my age group should be eating 1.5 cups of fruit per day, or in Patti-speak: three servings totaling one-half cup each. A small apple, 1/2 cup of berries and 1/2 a banana and I’m golden! Half cup servings are a doable way to not only think about how much I’m eating, but an easy way to vary my diet. I can eat almost anything in a 1/2 cup serving, but sometimes 1-cup is more than I want or care to eat. The same goes for veggies. Women in my age group should be eating 2-cups of veggies per day. Since I’m a grazer, eating two half-cup servings during the day as snacks, gets me halfway to my recommended daily serving before supper. It’s so much easier for me to break down the total daily recommended servings into 1/2 cup portions instead of thinking about the whole. So what are the USDA recommendations? DAILY FRUIT RECOMMENDATIONS: A serving of fruit is 1/2 cup of fresh fruit, 100% fruit juice or 1/4 cup of dried fruit. DAILY VEGETABLE RECOMMENDATIONS: A serving of vegetables is 1/2 cup of any type, raw or cooked. 1/2 cup of 100% vegetable juice also applies. Of course if your activity level is higher, your needs are higher and you adjust accordingly. And if you still have trouble visualizing or thinking about servings per day, make it easy on yourself and simply fill half your plate with fruits and veggies at every meal and you should be covered. Easy! Hope this helps in your quest to a healthier you! ugh i no i eat too many servings of fruit:( but it’s better than other things I could be having! I’m trying to sub in more veggies. I find I eat more veggies in the winter and more fruit in the summer. Hard to find a balance. I don’t eat enough of either one, I admit it! I like your 1/2 cup idea for portion size, I think it will be helpful to me to think of it that way. Thinking in half-cup portions has revolutionized my eating habits with the thought towards getting more veggies and fruits. Glad it’s helpful to you as well.